Do you ever wonder what it was like to live in the 1920’s? 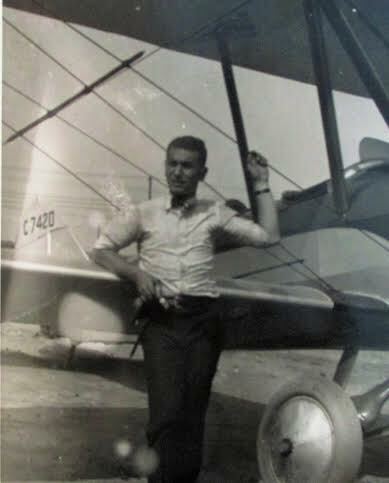 Be a passenger on a fascinating flight through history on my grandfather’s open cockpit airplane as he takes us on a trip through the United States and Europe by land, water, and air. Read first hand accounts of the Stock Market Crash of 1929, working for the Wright brothers, creating the first helicopters, designing planes for World War II, crossing the Atlantic, surviving polio, the rise of Hitler in Munich, and life in New York City. 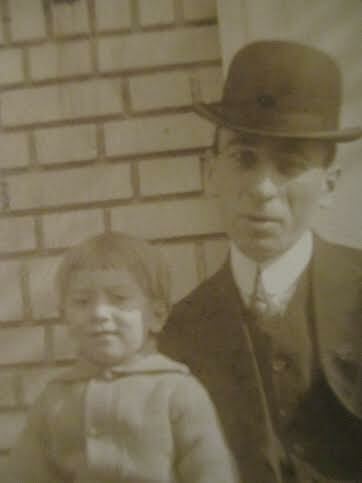 My grandfather Bill was born in 1910. 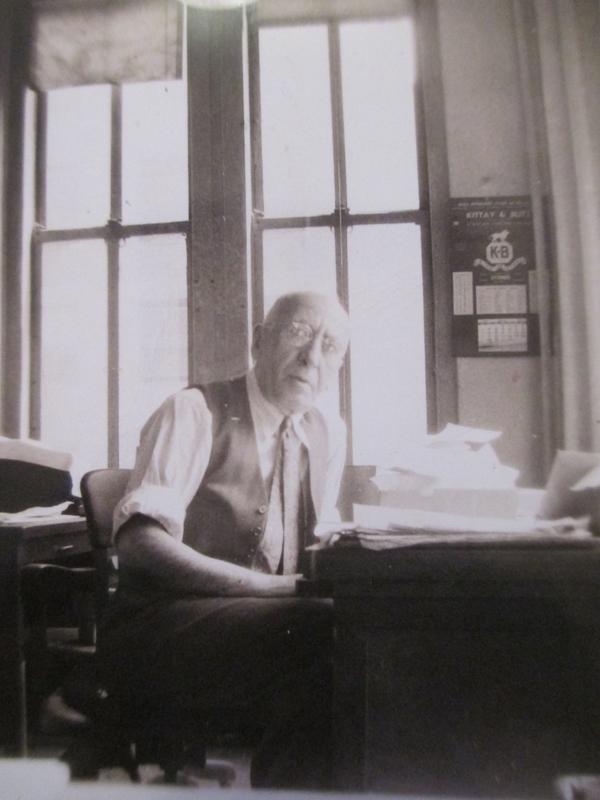 He grew up without any electricity but electric dreams — a true renaissance man for the ages. This is his story, in his own words. It begins in the 1890s when his parents arrive in America. living with my grandparents on their farm in southern New Jersey with my mother and father. My father was born in the small city of Nikolaiev. This city is about 500 miles east of Odessa on the Black Sea. He came to this country alone, about 1898 at the age of 20. My mother also came from Russia to this country when she was two years old — probably about 1892. At that time, my mother and our parents arrived in New York. 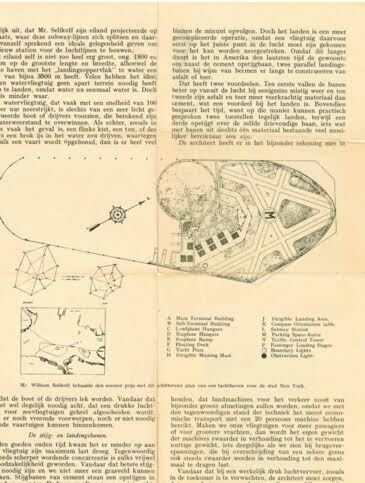 They learned that a wealthy French-Jewish man by the name of Baron von Hirsch had purchased a large piece of land in southern New Jersey near Vineland and offered it to Jewish immigrants’ families at very attractive prices provided they settle there and farm the land. My grandparents accepted the offer and moved to the small town of Rosenhayn near Vineland and purchased 100 acres of farm land. At that time, my mother whose name was Ida, had an older sister Elizabeth whom we all called “Aunt Lizzy,” and two younger brothers, Morris and Habe. 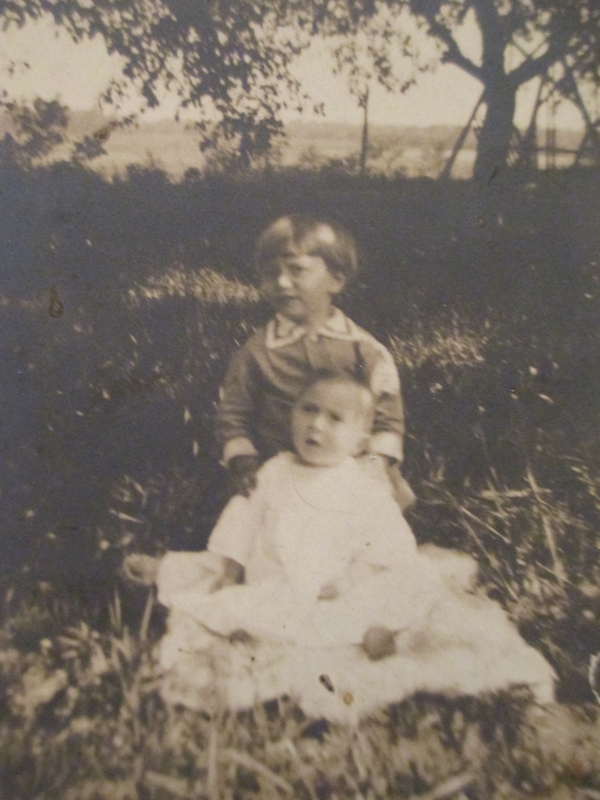 These were the only foreign-born children of Rachel and Simon Handesmen, my grandparents, with whom I grew up. My grandfather, my mother’s father, was a tall, strong and heavily built man with a large gray beard. My grandmother was short with a fantastic store of energy and a joy to be with. My grandfather built the house we were to live in and enlarged the house as the family grew. Subsequently, three more boys and two girls were born on the farm, making in all, eight children — four boys and four girls. The boys were Morris, Abe, Lou, and Vin. The girls in order of age were Lizzy, Ida my mother, Bessie, and Elsie. The story of my father’s family is quite different from that of my mother’s. 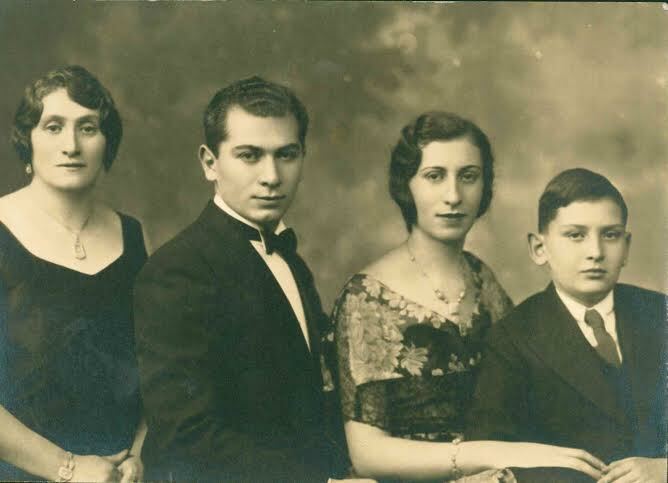 My father was the first one in the family to come to this country and he came alone at the age of 20 to escape the persecution of the Jews by the Cossacks and to avoid being drafted into the army. He arrived in New York and worked to save enough money and was eventually able to bring his father and all his brothers and sisters to New York. I have only a vague recollection of my father’s father since he died when I was very young. My father had three sisters: Eva, Gussie, and Tessie and five brothers: Harry, Jake, Ben, Irving, and Saul. 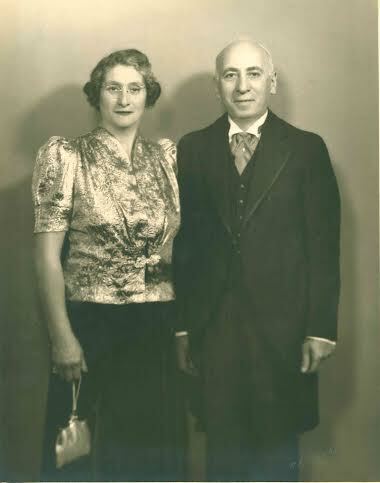 I do not know how my parents met but they were married in New York in 1909 and moved to New Jersey to live with my grandparents in 1910 at which time I was born. Shortly after that, my father bought his own farm about three miles away from my grandparents’ farm. 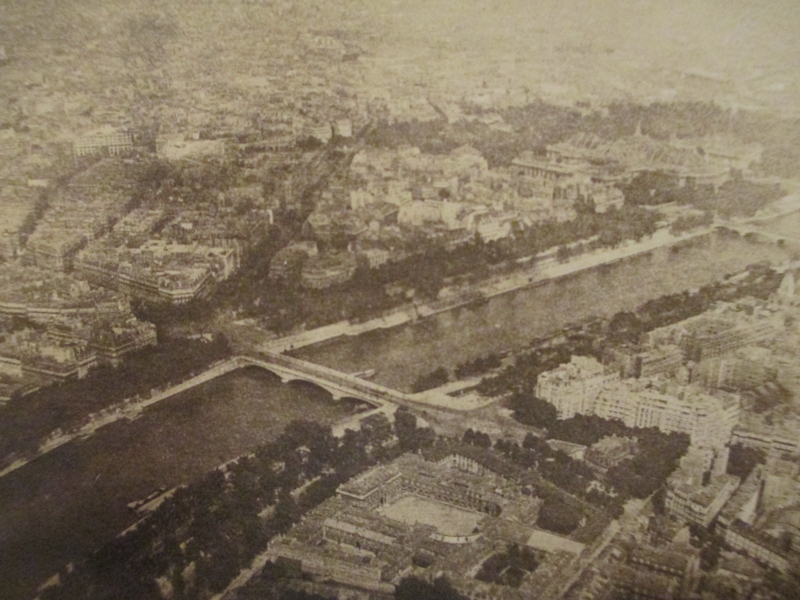 That was where my sister Estelle was born two years later. My father never liked farming very much and the living conditions were very difficult on the farm at that time so my father went back to New York and worked for a jewelry stamping company. I started school in Rosenhayn and since it was a one room school-house for all grades, I used to go to school with my Aunt Elsie who was not much older than I am. When I was six years old, I contracted polio and was unable to go to school for eight months. Shortly after this, my father sold our farm and we moved to New York. Since I still had a slight limp from the polio, my mother took me to the gymnasium for exercise for about a year. Since then I have completely recovered without any ill effects and even played soccer on my high school team. I spent my very early years on the farm until I was in the third grade when we moved to New York. In the spring, we planted potatoes, wheat, rye, peppers, tomatoes, cucumbers, strawberries, radishes, watermelon, corn, cantaloupe, and probably many other things I don’t remember. All the children worked to help plant the seeds and seedlings and helped cultivate the fields and hoped there would be enough rain to make the crops grow. There were also many apple, peach, pear, and plum trees which needed little attention until the fruit ripened when I had a marvelous time picking and eating the fruit right off the trees. When all the fruit, vegetables, and grain ripened, we found it necessary to hire extra workers to help pick the harvest which we then packed in crates and boxes after keeping what we needed for our own use on the farm. These were loaded on our wagons and taken to the railroad station where buyers from New York and Philadelphia would make offers for what we grew. Many other farmers followed the same procedure. If the harvest was very good, the prices were low. If the harvest was poor, prices were high. The money we made was used to buy the things we did not grow on the farm, and new seeds and seedlings for next year’s crops. We also had a very large basement below the ground level which remained cool all year round. As the crops were picked, my grandmother, my aunts, and some of the children all helped to preserve hundreds of jars of fruits and vegetables for the winter. This was all done on a very large wood-burning stove. As you can see, the summer months were very busy for the whole family and the work was very hard. The work day started when it was light and didn’t finish until dark. After we moved to New York, I used to return to the farm every summer during school vacation. This became my summer camp until I finished high school. We didn’t have running water in the house but used a well in the front yard which had a pump operated by a handle which had to be pushed up and down. All the water we used came from this well. One of my jobs was to fill the buckets to make sure there was enough water in the house for drinking, cooking, and washing. There was a very large, tile surfaced baking oven which was about 10 feet long and three feet wide with an opening at one end and a chimney at the other. Every Friday, my grandmother would burn wood and charcoal in the oven for three hours to make the tile and oven very hot. The smoke would escape from the chimney and the front opening was closed but not very tight. While the oven was getting hot, my grandmother started to get the bread ready from the dough which she had started the day before and was allowed to rise over night from the yeast. Because the family was very large, she used to make three or four large challahs by rolling pieces of dough in long tapered pieces and placing them on a bread board for twisting. I was always fascinated to watch her do this since she did it so quickly and combined four or five twists to make each bread. As you can imagine, the size of these breads was pretty good. At the same time, she made small challahs for each of the grandchildren for the special Friday night dinner we always had. Besides the white bread for challah, she also made large round rye breads and pumpernickel. By the time she finished making the bread, she opened the oven and used long-handled wood scrapers to remove all the ashes and cinders left from the charcoal and wood and then cleaned the tiles with a long-handled brush to clean up the last bits of ashes and cinders so that the tiles were completely clean. Now the chimney stack was closed and each bread placed on a long wooden paddle and pushed into the farthest part of the oven and placed on the hot tiles. When all the breads were inside the oven, the door was closed and sealed with a wet clay to keep all the heat inside. I have no idea how she knew when the bread was baked but when we all sat down to our Friday night dinner, we ate the most delicious hot bread you can possibly imagine. I want to tell you that when that door of the oven was opened, you could smell that bread for at least a half a mile. important to start the dinner before sundown since my grandparents were strictly orthodox.. Just before we sat down to dinner, my grandmother would light the Sabbath candles and say her prayer. After that, my grandfather would cut the bread and say the prayer for cutting the bread and then fill the glasses with wine and say the prayer for drinking the wine. This was a family ritual every Friday night which I shall never forget. Since we had no refrigerator, we used a big block of ice in an ice box in order to keep food from spoiling. This was no problem in the winter. There were many small lakes near the farm. During the winter, the temperatures were so low, the lakes froze to about two feet thick. There were other people in the town who would go to the lake, chop a large hole in the ice, then using a tremendous saw, cut large blocks of the ice, and carry them to the ice house. This ice house was very well insulated with straw which remained after we cut the wheat. Whenever the farmers needed ice in the summer, they would go to the ice house and buy a block of ice. This made it possible to keep most of our food from spoiling. I’m describing these things so you will have some idea of the difficulties we had and to show how we take so much of our present conveniences for granted today. holidays, everyone would be dressed in their best clothes and go to services in a horse and buggy where we would meet many friends and neighbors that we hadn’t seen for a long time. different than they were on the farm. When we got together for family dinners, there was always a great deal of fooling around and a lot of singing after our dinner meal. I decided to go to Stuyvesant High School which was on 14th St. and 2nd Ave. in New York City because it was a technically oriented school only for boys. I enjoyed all my courses and won many awards for good scholarship. I was particularly good in the woodworking course during which I built a large-scale model of a two-story colonial house. I won a medal in this course for doing the best work in the class. Since we lived in the Bronx at this time, I traveled to school every day using the subway which was very fast, convenient, and much safer to ride than it is today. During the time I was at Stuyvesant, I became friendly with another student, Bernie Scher, who eventually became my closest friend. Since he lived not too far from me in the Bronx, I became just as friendly with his parents as he did with mine. We spent almost all of our free time together. His interests were biology and psychology while mine were architecture and engineering. I expected him to eventually study medicine and become a doctor while I expected to study architecture and become an architect. country which at that time was mostly wooded areas just north of the city beyond Van Cortland and Bronx Park. Now of course this area is completely built up with no resemblance to what it was in the late 1920’s. 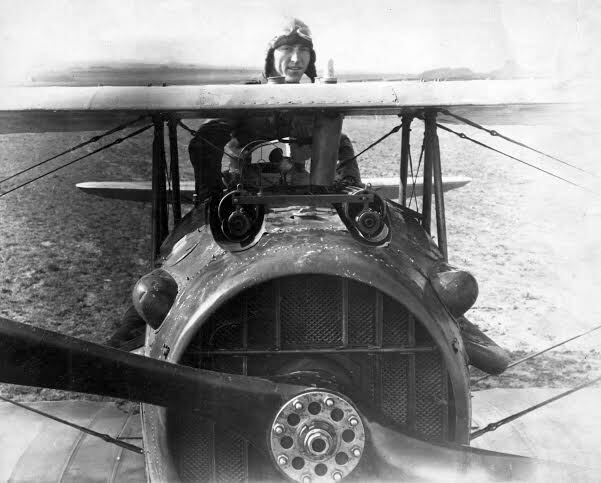 When Lindbergh flew solo from New York to Paris in 1927 in the Spirit of Saint Louis, my interest started to move to the aviation field. In 1928, Bernie and I bought a couple of second-hand cameras and started to learn about photography. Our cameras were always with us and we used them frequently both in the city and the country. This became a fascinating hobby which I still enjoy. In 1929, the stock market had a catastrophic drop in the value of stocks, as a result of which many people lost a great deal of money but fortunately my father was well established as a jewelry manufacturer and Bernie’s father had a factory which made women’s dresses and they were both able to survive any serious loss. If you read the story of that period, you will learn that not only were thousands of people unemployed and had great difficulty in even getting enough food but many banks had failed causing many more people to lose all their money. Since my father still had some aunts, uncles, and cousins living in Russia, he maintained steady contact with them by writing letters and sending packages of clothing and money. This was the time when Joseph Stalin was the Premier of Russia and it was impossible for anyone to immigrate. 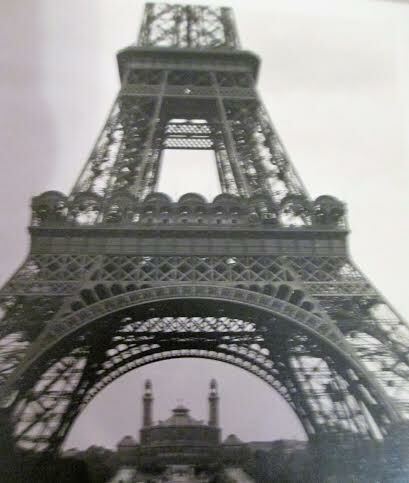 In 1928, he arranged a trip to Europe to visit his family. When he returned, he told us how difficult things were there and how some of his cousins had become engineers and doctors and had left Odessa to work in Moskow and Leningrad. My sister Estelle was also born on the farm two years after I was born and my brother Marty was born in New York 10 years after I was born. I suppose we had our disagreements like all children but I have little recollection of any close association since I was always with my boy friends and Estelle was with her girl friends. In Marty’s case, since we were 10 years apart in age, we had very little contact. 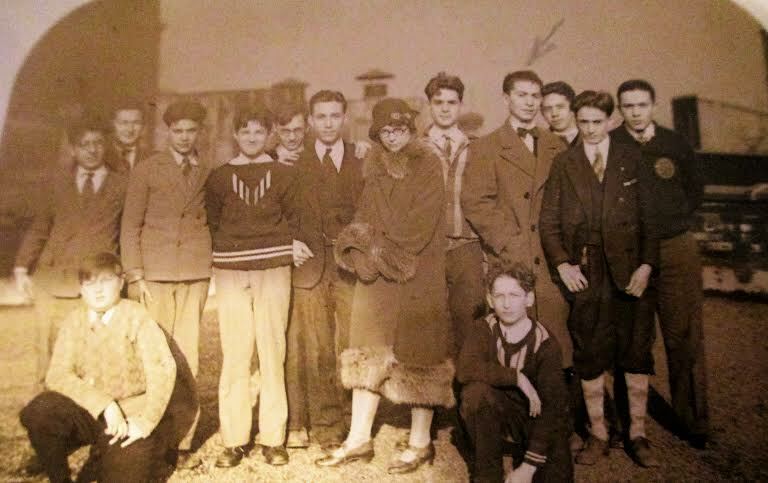 As you can see, in 1928, I was 18 years old and Marty was 10. This large a gap at that age was almost impossible to close. When my father returned from Russia in 1928, he brought me a 3 1/4 and 4 1/4 Zeiss film pack camera from Germany. At this time, Bernie bought a used Rolleiflex and we both continued our photographic activities in earnest both in the city and during our hiking excursions. At about this time, Bernie became interested in the identification of birds so we combined bird watching on weekends with photography. We both graduated from high school at the same time and entered New York University in Washington Heights. My courses were for an engineering degree while Bernie studied for a Bachelor of Arts in Psychology. While I was at NYU, I taught myself how to drive my father’s car and passed my driving test for a license. Occasionally, I would borrow my father’s car and we would drive out to some of the undeveloped areas on Long Island and New Jersey. I joined the NYU Flying Club and started to take flying lessons. After 10 flying hours of instruction, I made my first solo flight at an airport which is now known as Kennedy Airport. The airport at that time had only one hanger and the runways were hard packed beach sand. After our flying club plane was cracked up in a bad landing by one of the students, we transferred our instruction to a small airport in Flushing about five miles across the bay from what is now LaGuardia Airport. 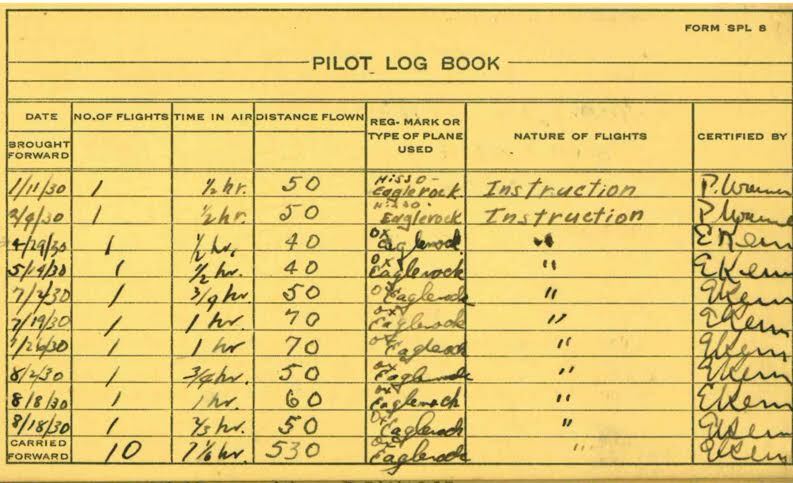 After 15 hours of solo flying and advanced instruction, I took my flight test for my pilot’s license in 1931. The planes we flew then were open cockpit, single engine planes which were a real thrill to fly. I remember asking Bernie to take a ride with me. I’m sure he had mixed feelings but more afraid to say no than yes. The flight lasted about half an hour and we flew about an altitude of 5,000 feet. We flew mostly over Long Island Sound and part of the Bronx and Connecticut. I don’t think he was relaxed until we landed in Flushing but I’m sure he never forgot the experience. When I was in my junior year in college, Bernie and I went to a summer camp for children on the Delaware River. Bernie was the nature counselor and I was the arts and crafts counselor. Since it was a co-ed camp, we had two separate areas — one for the girls and one for the boys. I had very fond memories of the experience. It was my first opportunity to come in contact with a wide variety of both contemporary people of my age and children as well. 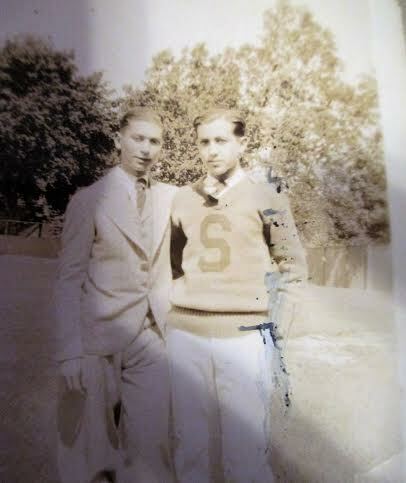 We both graduated in 1932 with my Bachelor of Science in Engineering and his degree in Bachelor of Arts in Psychology. After graduation, my father decided to make another trip to Russia and offered to take me with him. Even though Lindbergh had flown the Atlantic in 1927, commercial flights didn’t start until much later so we sailed on a large passenger liner to Hamburg, Germany. At that time, the typhoid inoculations were given in three steps. I received the first two in New York before we left and had a note from a doctor that I should get the third shot when I reached Hamburg. The ocean crossing was a new and wonderful experience for me during which I toured the entire ship from top to bottom asking many questions and taking many pictures. After five days, we arrived in Hamburg and went to a local hospital where I received the final typhoid shot. The next day, we took a train from Hamburg to Berlin where we were scheduled for two and half days. We checked into a hotel. When I awoke the next morning, I had a reaction from the typhoid injection and I never left the hotel until we took another train to Danske, Poland. city by that name but perhaps you can recall seeing the name of city called Gdansk, where the solidarity union in Poland was started. This used to be the city of Danzig. By the time we arrived in Danzig, which is a port on the Baltic Sea, my fever had been all gone and I felt fine again. From Danzig, we took a small passenger boat across the Baltic Sea to the city of Helsingfors, Finland. Today, this city is called Helsinki and it is the capital of Finland. From Helsinki, we boarded a train directly from the boat and traveled about a day and a half to Leningrad. We spent three days in Leningrad sightseeing and though I have few recollections, I do remember that it was a very beautiful city. Since my father spoke Russian fluently, we had no problem finding our way around. From Leningrad, we took a train to Moskow. In Moskow, our hotel was only a couple of blocks from Red Square and we could see the Kremlin from our hotel. 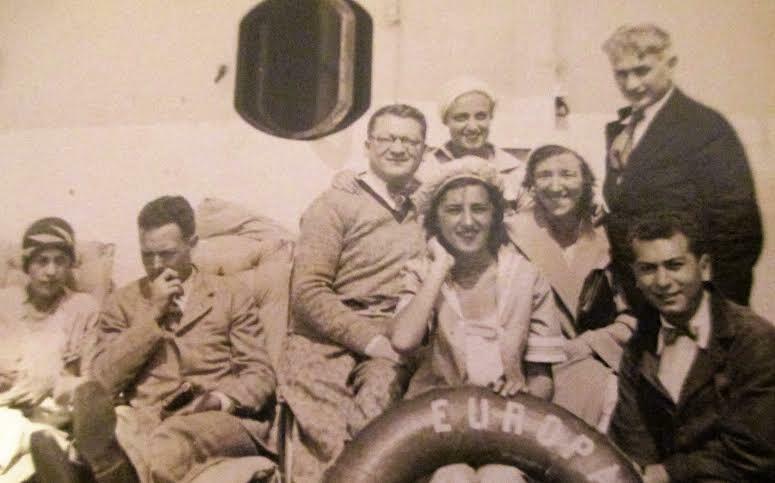 We took the train from Moskow to Odessa, stopping at Kiev on the way down and when we arrived in Odessa, we met my father’s family, among whom was his favorite uncle. As you can imagine, it was a very emotional reunion and we had a very nice time being with them. My father and I went to one store which only took American money for the products they sold. We bought a couple of bottles of vodka and some delicious Russian black bread and some other items and brought them back to the house where we had a very pleasant party. We stayed in Odessa with the family about a week and then we took a boat for an overnight ride to a little town where my father was born, Nikolaiev. This is a small town on the Black Sea which is a shipping point for the wheat and grains that were grown in the Ukraine. 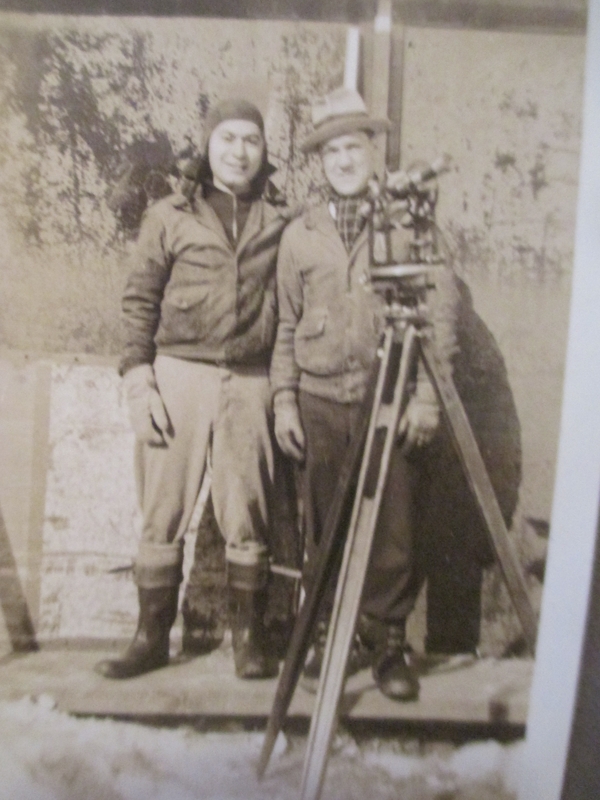 My father’s father and he in turn were working in the port for storing and shipping the grain. While we were there, we also met some cousins my father had but the conditions under which they were living were very poor. We only stayed there a couple of days and then took the boat back to Odessa. Before we left Odessa, we had been travelling with about four suitcases full of clothes and other things we needed during our trip. When we left there, we left almost all our clothes, taking with us only what we actually needed to get back to the other side of the border with one suitcase. We took a train from Odessa to Warsaw and it was already a big difference in the service and quality of the transportation after we left the Russian border. We stayed in Warsaw for a few days and then took anther train from Warsaw to Prague, Czechoslovakia and that was a really beautiful city. We only spent a couple of days in Prague and then went on to Vienna. Vienna was also a really beautiful city and the sightseeing there was something you will never be able to recapture since I’m sure a lot of it was changed and most of it was destroyed during the war. After Vienna, we took another train to Munich. I didn’t mention anything about the Nazi problem which was just beginning to start at that time. Munich was the beginning area for the Nazi party and Adolf Hitler. When we were there, I didn’t notice any particular demonstrations or problems at that time. We saw many soldiers in Nazi uniforms on the street. I had no problems with any anti-Semitism. I did spend quite a bit of time walking around the city and going to the museums. I don’t know if anything is the same as it was then because the war must have changed that city quite a bit. After Munich, we took another train to Paris. This was my first experience of a beautiful city that was hard to describe. During this time, I spent most of my time walking around, doing a lot of sightseeing and taking photographs. My father wasn’t much of a walker so I did most of it by myself. We spent about a week in Paris. We traveled from Paris to Cherbourg and then took our return liner, the north German line, back to New York. All during this time, even though my father and I were together for over two months, I don’t recall any period in which we really sat down and had any close heart to heart talks. 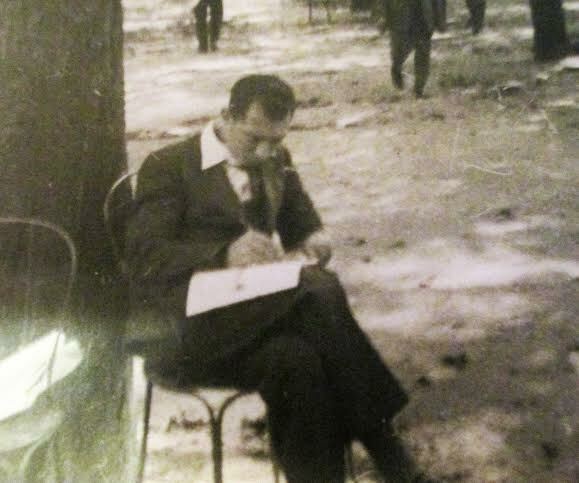 My father was very quiet and very non communicative. I suppose this could account for some of my own situations as when I was growing up, I tended to be very uncommunicative also. engineer but this was in the midst of the Depression and unemployment was still very high and there were simply no engineering jobs available. So I went back to school for as a post-graduate degree in aeronautical engineering. During that time, I took a major course in airport design and entered a city-wide competition. When the judging came through, I found out I won first prize and received a medal. I took a photograph with Eddie Rickenbacker, who was then President of Eastern Airlines, in commemoration of the event. 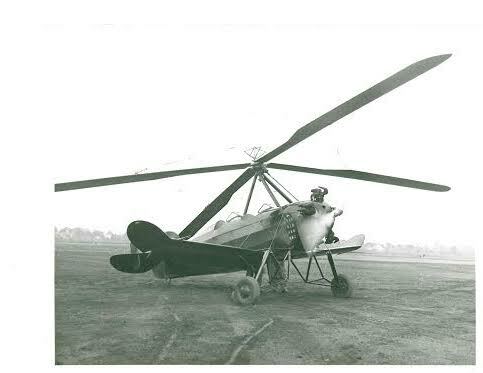 After I received my graduate degree, I still couldn’t find a job so I stayed on at school working as an assistant to the Dean of the School of Engineering, Dr. Alexander Clemmon, who was doing some very original research in rotary wing aircraft. At this time, helicopters had not even been developed yet. But at that time, they were working on a design known as an autogyro. I worked with him in the wind tunnel doing some testing and helping him write some of the papers. Even though I didn’t receive any wages, the experience was very valuable to me. After about six months, the project was completed and I was out looking for more work. At this time, President Roosevelt had created a number of government sponsored projects, one of which was known as the Civil Works Administration (CWA) so I applied for a job there and indicated I would be willing to go out and work as a surveyor which I did. I worked on this assignment laying out some roads and parks in the Westchester area. I forget the name of the park. I worked with this group nine months. After this time, when I still couldn’t find a job as an engineer, my father who had been very patient with me until this time, said I think it’s about time you came to work for me in the jewelry shop and start to learn the trade. So I went to work for my father in the jewelry business. While I was there, he made sure I learned everything I could about the manufacturing operations and then even sent me out on the road with one of his salesman to learn how to talk and meet the people who were buying our gold earrings, gold charms, rings, and whatever he made at that time. One of the jobs I had was learning how to sort and grade the small diamonds which he used to use while making the jewelry. The diamonds were all very small, probably about 1/16 to 3/32 of a diameter, weighing anywhere from a tenth to a third of carat. Now you can understand why I do not care too much for diamonds. I had been working with them for some time and they no longer looked to me like anything of any value. 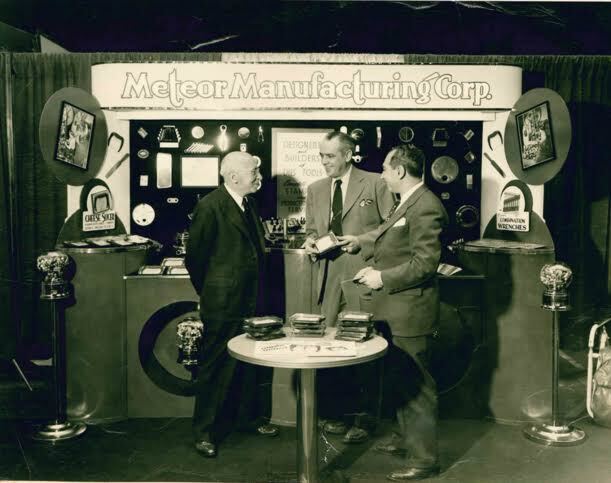 My grandfather (far right) started his own company, Meteor Manufacturing. He was an inventor and held many tool patents. Shortly after this, one of my friends with whom I graduated received a position with an aircraft company on Long Island. When he asked me if I would be willing to take a job there, I immediately accepted. I didn’t even ask my father and I’m sure he was very disappointed when I told him I was leaving the jewelry business to work as an engineer. After working there for over a year, they received a new contract for another airplane. When we started to work again, they asked me to take a cut in salary. Well, I didn’t even argue. I just told them as far as I was concerned, they could have the job. I was not interested. After I left this job, I borrowed my father’s car and Bernie and I took a long series of trips all the way from Washington, D.C. up to Buffalo, New York stopping at all the aircraft companies I knew. I left my application for employment with probably five different companies. We then went back to New York and decided what we would do while I was waiting to hear from one of the companies was to go out camping for a couple of weeks on vacation. So Bernie and I picked up and packed up the car and went out to a place not far from the summer camp where we were counselors. We setup camp there and lived in a tent for about a week and a half. Before I left, I had given my mother the telephone number of the local post office and we would go down every day to check and see if we had any information. One day I called in and found my mother had left a message to call back. She told me I had received an acceptance from Curtiss- Wright (The Wright Brothers’ company) in Buffalo. Bernie and I packed up our things very quickly and we drove back to New York and I made arrangements to leave New York and go to Buffalo to start my job there. This was in July 1936. My grandfather made this recording in 1983, a few years before he passed away. He would be 105 today. As a tribute to his life, I decided to transcribe it verbatim and make it public. I last listened to it 25 years ago. He ran out of tape so he ends the story and tells us how much he hopes we enjoy it. I don’t believe he ever finished it. My mother tells me there were so many more adventures in his life. I hope you enjoyed his story and that it inspires you to grow closer to your loved ones, explore your family’s history, and appreciate the comforts of modern life. I love you too Grandpa Bill. I still miss you. You were such a good grandfather. I wish you could know how much you still mean to me. 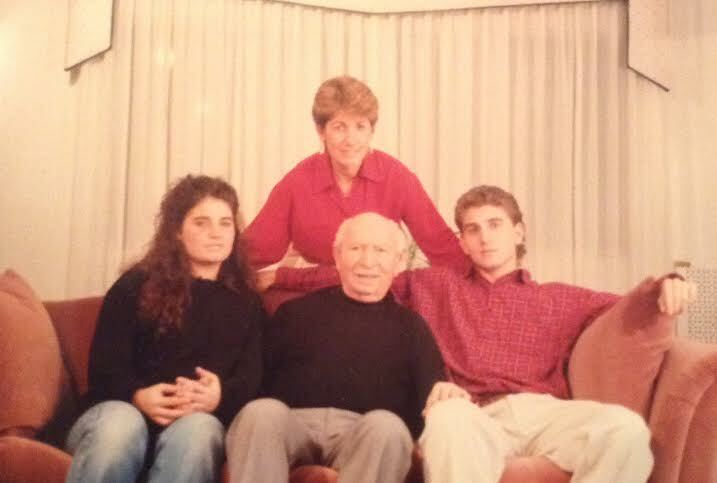 Last known photo of me with my grandfather, mother, and sister. Very interesting life and I enjoyed your grandfather’s recording which you wrote verbatim for us to enjoy. Thanks for sharing this! Happy holidays to you and yours and all your animals. Thank you very much for taking the time to read my grandfather’s story. Thank you for sharing just a riveting tale of life before WW’s. Thank you for taking the time to read my grandfather’s life story.